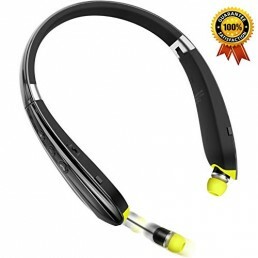 Featured with CVC6.0 noise cancellation technology, the Bluetooth neckband headphones intelligently filter out background noise for perfect speech transmission in busy and noisy environments. Compared to Bluetooth 4.0, the latest Bluetooth 4.1 technology features faster & stable signal transmission, clearer sound quality and lower power consumption. With the built-in intelligent magnet design, you can easily trim the earplug cables when you do not need them and hang the headphone like a necklace around your neck. Prevents troublesome wires from tangling and provides a natural feel through all-day wear. Now you do not have to stop what you are doing at hand to answer a call. 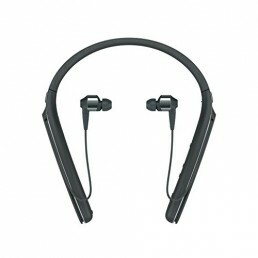 The wireless Bluetooth headset allows auto switching between music and calls. You can control all functions of music and calls easily via the buttons on the headset. Enjoy a cheerful chat with your friends while you are doing your office work, housework, gardening, or particularly when you are driving along the fast lane. MAGNETIC EARBUDS & CALL VIBRATE ALERT: The built-in magnet attracts the earplugs when you don’t use them. 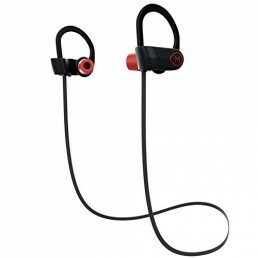 Mpow Jaws Gen-3 Bluetooth headphones can vibrate when a phone call comes in and avoid missing incoming calls while the earplugs are not in your ears.